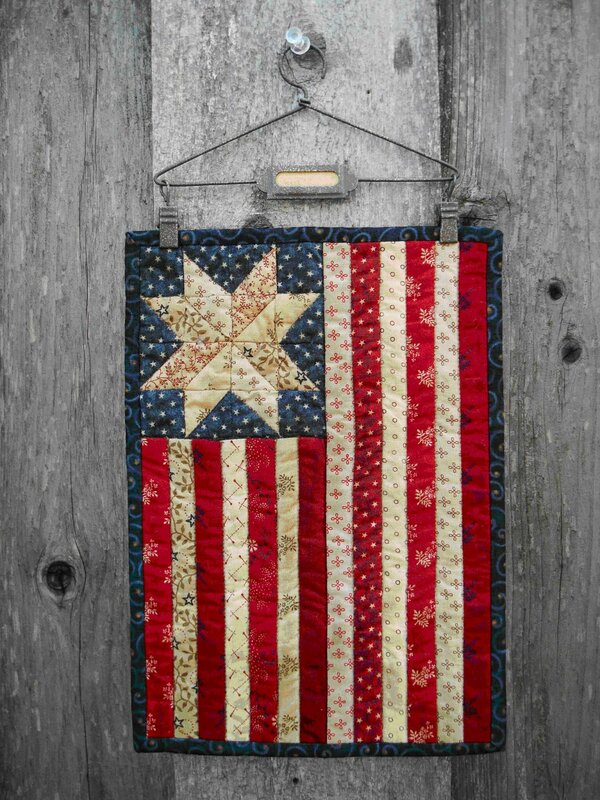 One Star, One Nation Mini Flag Kit - a Red Rooster Quilts original. Make this cute little flag just in time for your election celebrations. No matter which side you're on, this little quilt and its' title "ONE STAR, ONE NATION" is the epitome of what we should all strive for. This pattern is an original design of Red Rooster Quilts, the first in my flag series. The kit includes fabric for the top and binding to make two mini flags plus two hangers (hangers may not be exactly like one shown) and the pattern. Instructions are included to make your flag vertical or horizontal. Make one for yourself and one for a gift. Finished size approximately 6.5" x 9.5". Fabrics my vary from photo shown.